Thursday, last week, we exhibited at the NetXP event in Burgess Hill, organised by Sonny Cutting, which aims to provide valuable business networking opportunities as well as a range of keynote speakers that provide informative seminars throughout the day. Before the event kicked off, we listened to Penina Shepherd, founder of Acumen Business Law, deliver a great talk about her experience of starting her own business and an introduction to her book ‘The Freedom Revolution’. As it was our second time exhibiting at NetXP, we were looking to create the same interaction we had with visitors with our game ‘Play Your Cards Right’ whilst embracing the golf theme. We also wanted to pay tribute to the late Bruce Forsyth whose 80’s game was the inspiration for our own version. Hence, Merranti’s Mini Golf course was created. The aim of the game was to score under par (21) with five cards. People who won received a bottle of Prosecco. Many tried and we had great fun showcasing our game on the day and had a lot of people successfully win! Clearly, some people have more luck with the cards than others! Luckiest man alive, Josh Mitchell, who was our first winner on Play Your Cards Right in March, was also our first winner yesterday on our golf course! We would also like to say a huge congratulations to David Farmer, who will be presenting at our own event next week, for successfully completing the course under par, and winning a bottle of Prosecco. The golf themed event had lots of exhibitors incorporating the theme into their stands with the likes of Brighton Cakes creating a fantastic golf course tiered cake and Mid Sussex Golf Club giving lessons away for sinking three out of three balls on their putting green. 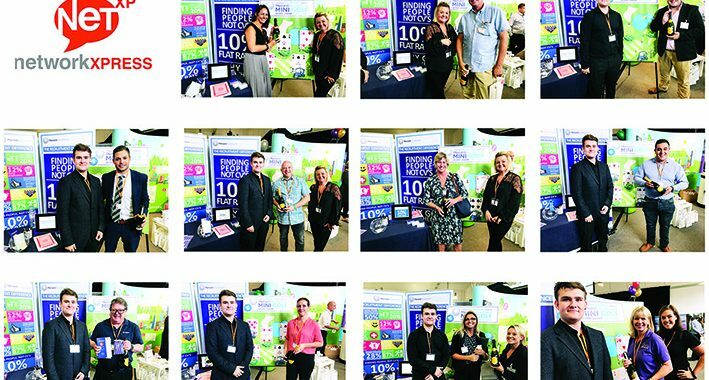 It was great to see so many businesses from the south east come together for this event, which included many familiar faces from previous networking shows we have attended before. Finally, we would like to thank everyone who attended and visited our stand, and congratulations to all our winners, and hope you enjoy your Prosecco! We look forward to seeing you all at the next event. For any recruitment and interview tips, contact Clair Reilly on 01342 835 769 or clairreilly@merranti.com.